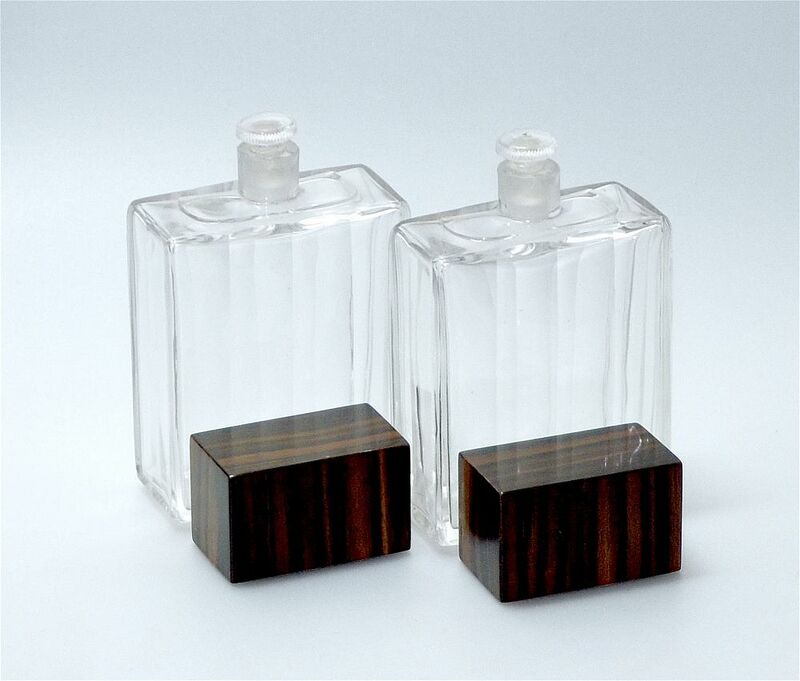 These superb bottles were made in the Art Deco period possibly in France. Each flat rectangular bottle has ridged surfaces including on the sides. 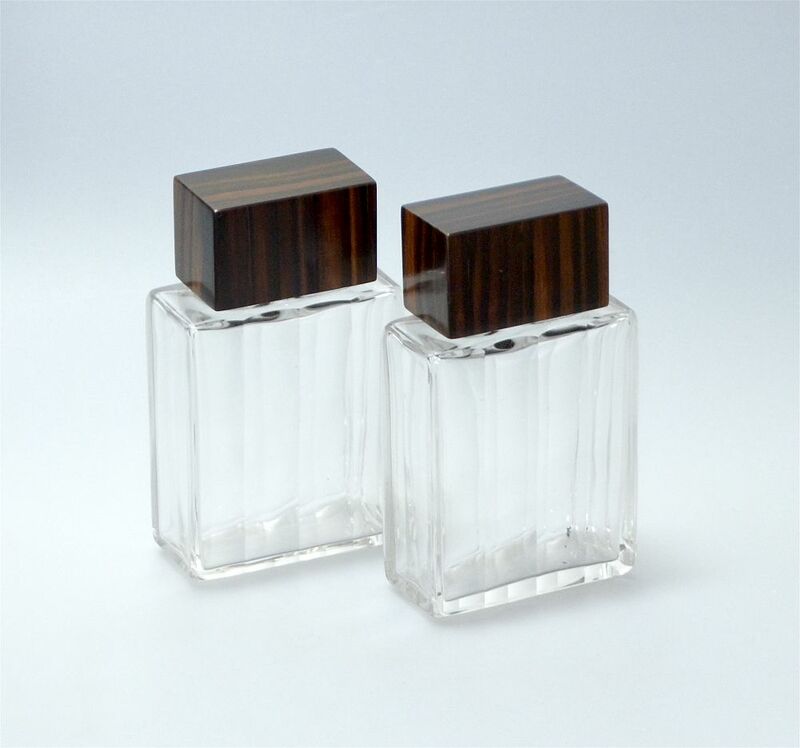 Each bottle has its original glass stopper and an oblong macassar ebony cover. They were probably originally for a gentleman's dressing table, maybe as part of a set and would have been for cologne. Very elegant, very decorative and still useful.